The Vann York Auto Group is a world-class family of dealerships founded by Mr. Vann York well over five decades ago. Born in the town of High Point, North Carolina, in 1927, Vann York’s early childhood coincided with the Great Depression. Although this was a challenging time to grow up in, Vann always looked back on it as a time of tight-knit family relationships, warmth and security. Answering his nation’s call to service with the outbreak of World War II, Vann York enlisted in the U.S. Navy at the age of 17. He served as a telegraph operator until the end of the war, at which point he enrolled in the University of North Carolina at Chapel Hill. Vann married his wife, Ann, in 1953, and had three children, one of whom, Greg York, now serves as the president of Vann York Auto Group. 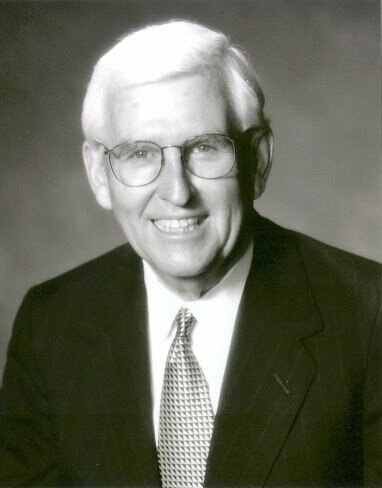 After working for a small Chevrolet dealership in Pilot Mountain, North Carolina, Vann became the owner of his first dealership, Vann York Pontiac, laying the cornerstone of what is today the Vann York Auto Group, which is made up of seven popular brands: Toyota, Honda, Nissan, Chevrolet, Cadillac, Buick, and GMC. The Vann York automotive family also includes a large pre-owned vehicle lot and a successful finance company. Indisputably, Mr. Vann York’s leadership and business acumen are responsible for what the company is today. As evidence of this, the Vann York Auto Group has received numerous franchise awards over the last fifty years. But perhaps the most prestigious recognition ever bestowed upon the company was in 2009 when Mr. York received a Lifetime Achievement award from the North Carolina Automobile Dealers Association. Under the directives put forth by Mr. Vann York, the Vann York Auto Group is dedicated to exceeding the expectations of its customers, not to mention fulfilling the promise of their company’s mission statement: Building Relationships That Last. Vann’s dedication to the place he and his family call home is just one of the reasons that he and his wife, Ann, were named High Point Citizens of the Year in 2013. Mr. York passed away in March of 2019 at the age of 91, leaving Vann York Auto Group in the dedicated and capable stewardship of his son, Greg York. He will be forever missed, but his hard work, commitment to excellence, and his many charitable works leave behind a legacy that will not soon be forgotten.